As the year winds down on 2017, we take a look at what 2018 has in store for games, in particular, Xbox One exclusive games. Since Crackdown 3 was pushed from a 2017 release to a 2018 release date, this would definitely be on the list as one of the Xbox One games to own in 2018. Though not much has been said on the game itself, it does look from the trailer that its going to be destruction based type of game. Sea of Thieves is another game that has a lot of people excited for. This multiplayer open world sea adventure turns the player and his teammates into pirates where you can do all the fun stuff pirates do such as sing pirate songs, walk the plank, look for buried treasure, etc. Right now the game is using the Insider Program to get feedback from players about any bugs or other issues from players. If you’re not an Insider, the world release of Sea of Thieves is March 20th 2018. The release date announcement was made during this year’s The Game Awards. State of Decay 2 is the sequel to State of Decay game released in 2013. State of Decay 2 is a zombie survival guide set in an open world environment in third person and it will feature co-op. Not much else is said about the game though. Though no official release date or even an expected release date was said for the sequel to Ori and the Blind Forest, Ori and the Will of the Wisps should definitely be a game that everyone should get if its released in 2018 (or whenever the game is actually released). Players assume control over Ori as you discover a world beyond Nibel, uncover truths about the lost ones and find out what Ori’s destiny is. While these are some of the games that would make it onto one’s list for next year, there are other games coming out next year that people are looking forward to whether they are Xbox One exclusive, PS4 exclusive or both PS4 and Xbox One games. It does look like Xbox has some great games coming out soon. What are some of the Xbox One exclusives that you are looking forward to? Fixed the title for you “5 Xbox One Console Exclusives That You Must Buy In 2018 But Won’t”. Its better than “Yet Another 50 Third Person Action Games Available On Ps4 in 2018” or “50 Must Play Sub-2K Resolution Games For the Ps4 Protato in 2018”. Oh I almost forgot, awhile back you claimed that the Xbox One X wouldnt have over 40(I believe it was) X Enhanced games available by Jan 1. You also revealed how many enhanced games the Ps4 Protato had in the same amount of time. I would have to look up exactly what you said, but I dont need to as I recall enough to know that the X obliterated your numbers. I wouldnt call 30 3rd person action games every year for the past 4 years a good line up. SONY isnt doing variety this generation. If it wasnt for multiplats all games on the Ps4 Protato would be the same. What exclusives has the Xbox received in the past 6 months?! lol, Ill let the irony and flat stupidity in your post be my rebuttal. Meaning, you don’t have any answers…………. Meaning your post was so incredibly ridiculious I didnt to need explain to anyone why you are a babbling mental patient. 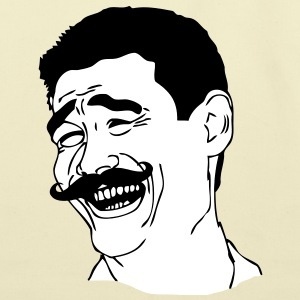 shoo, I cant believe I have to spell something so obvious out for you. First, you dont have a 4K screen. I know this because Sea of Thieves graphically obliterates every one of those Ps4/Ps4 Protato games. I have seen them all at their sub-2K resolution upscaled to 4K on my screen. You will learn this from all over the gaming media once the NDA is lifted. Second, how many of those Ps4/Ps4 Protato games are 3rd person action games, with online multiplayer(co-op, vs,etc)? Or do I need to tell you? Crackdown 3, State of Decay, and Sea of Thieves are all native 4K, singleplayer, online multiplayer. Lastly, I agree The Last Night has an appealing art style and looks interesting. The Last Night is an indie game, enough said about production values. You should upgrade to a 4K screen, and buy an X. Dont be scared bro, it doesnt bite. It can drop your jaw though with the graphics quality it puts out. Im enjoying the highest quality video entertainment experience available on consoles, and arguably in home entertainment period. Why would I be the least bit desperate? Im speaking as in actual reality, not your cocaine feuled lunatic reality. because you’re actually losing your mind and what you judge to be the ‘highest quality video entertainment experiences available on console’ once again does NOT EQUATE the best games or best gaming experience! Hence why the Switch is outselling the Xbox One X as well let alone how much PS4 has already outsold the Xbox One X! You have a games console correct..? So by definition the games console will be judged by it’s games… that being said i can sit here and say i have the highest quality/rated games library of any games console available now! which is a MUCH more important statement and truth.. and if that’s not what you believe then gaming cant be your passion/love. lol do you even read what you type? Sales have no bearing on quality genius, are you going to invite friends and family to come over and enjoy sales? The Switch isnt high end home entertainment period, end of discussion. The Ps4/Pro is an outdated sub-2K machine that doesnt even have a 4K Bluray drive, that means it isnt the highest quality period, end of discussion. Look, I get that havent upgraded yet and that is fine, but you need to accept that you dont have the best console hardware. Upgrade to 4K HDR gaming, and movies, dont be scared. Once you see it, you will understand what the excitement is about. looool… you’re actually delusional bro… the Pro doesn’t have a blu-ray drive because THE WHOLE WORLD is streaming their content and my netflix is 4K HDR loool.. so i’ve been enjoying 4k HDR for like a year meanwhile you’ve only JUST gotten a 4k enabled media player in the X and ontop of it you dont even have a 4k enabled Youtube app on the damn X anyways so you cant even watch your precious DF analysis videos in the resolution you all love to boast about meanwhile the PS4 Pro can loool… do you not find that a little ironic…? Ill let the rampant stupidity of your post be my reply. The S has had 4K HDR streaming, as well as a 4K Bluray drive for months now braintrust. You should look around the web, there are entire countries that cant afford to stream 4K content. lol your living in a bubble dude if you believe that blanket statement is reality. Listen, stop crying and just buy an X. It will end your issue, and you wouldnt be happier once you saw what it can do, as well as how much better Live is than PSN. Loool… truth be told bro i’d LOVE an X. The only problem is that theres genuinely no game on Xbox that interests me enough to buy an X, And in terms of Live i already get enough toxicity on PSN lool… i dont need to boost that exponentially by joining Live, that doesn’t even offer me the some features that i take advantage of on my PSN. Here we go again with your bubble. There are roughly 100 million 4K tvs in use globally, in a world of 7 billion people. The average global bandwidth is 7mbps. To stream 4K content for a single device a bandwidth of 15-25mbps is required. Ill be waiting for your rebuttal, but if it consists of your usual “I stream 4K therefore the whole world does too.” nonsense dont bother. i dont think you’re understand the point here looool… you are 100% correct with everything you have said…. BUT NOW, if STREAMING 4k is the number one way in which 4k content is consumed and those are the numbers then how small do you think the user base for blu-rays is!? how you dont see this is beyond me!? I mean fgs companies are pulling out of making blu-ray machines left and right so that just tells you how much no one cares and why people literally say they rather buy and Xbox for a Blu-ray player than actually buy a Blu-ray player… do you not understand this…? Is that where xbots are now? Despising 3rd person games just cause they don’t get any? Lol quick reminder fool, most of the few ex-clusives listed above ARE 3rd person! LMAO the salt is real! Apparently this article isn’t for you. But you couldn’t hold back your hate for a platform you don’t own. Good job. Must buy if you only own an XBox?! Ok. If you own a PS4 you should be fine, not one console seller among those games. All those are on PC anyway and God of War or Spider-man alone will sell more than all of these combined. lol then why are you so worried? You and that andrewsqueel seem to be in a perpetual panic anytime the Xbox is mentioned. Look, Sea of Thieves alone in native 4K HDR graphically destroys every game releasing in 2018 for the Ps4 Protato. Its also a completely unique online experience, unlike yet another run of the mill 3rd person action game like God of War, Spiderman, and 80% of the Ps4 library. Seriously. Another problem with your post is you imply PC is where those games should be played instead of the Xbox. That is flatly agenda driven nonsense. Sure, those games will probably be playable on PC, there isnt anything wrong if a person wants to play them on PC. However, people play on console out of choice, not need. Its all about the big screen, with big sound, comfort, no hassle, high quality video entertainment with family, friends, or alone locally/online. That isnt the PC experience, and if some fool claims it is, then they are an idiot that should have bought a console because those things are exactly what a good console is built for. Sea of Thieves looks like HD Clay Fighter………..relax. Dreams looks graphically better than Sea of Thieves and is a unique online experience that is a technical achievement. Plus, he never said anything was wrong with playing the games on PC, the point of the article was to acknowledge that the Xbox One X has games coming, since there isn’t anything to play on it right now. Crackdown looks like someone is developing it while sleeping………its trash. No Sea of thieves looks amazing. lol I think you need to look around the internet, because you appear to be completely clueless. What I posted is the truth. Stay tuned Big Man, because I wont be the last one to say it in the coming months. Lol you have never posted the truth in your life! Just like the xbone hasn’t ever produce a GOTY among its few exclusives! bro are you kidding me!!!? are you ACTUALLY hearing yourself..? Sea OF Thieves no doubt is stylistic! but saying its the better looking than anything on PS4 is just plain and simply a lie! It genuinely doesn’t even look better than other stylised games like Mario or for 3rd party games ANY of the lego games! If you saw Sea of Thieves in native 4K HDR you would agree with me, assuming you are even capable of looking at something without bias. bro 4k HDR doesn’t make a game automatically a beautiful game! what about that is confusing you!!!? if you played Halo MCC and played Halo 1 in old and new engine you can CLEARLY see the difference in graphical quality even though both are running 4k HDR! it’s not a hard concept! Sea of Thieves it’s although has a unique art style and is charming to some degree it is NOT a beautiful graphical powerhouse that will win ANY graphical awards! it just wont.. It doesn’t even look better than Sunset Overdrive! Sea of Thieves in 4K HDR is stunning, period. lol Hang in there, you will be hearing a lot about its graphics very soon. lol not according to my 4K HDR tv. Its is easy to tell the difference between 4K and sub-2K(which is the resolution on nearly all Ps4 Protato games). 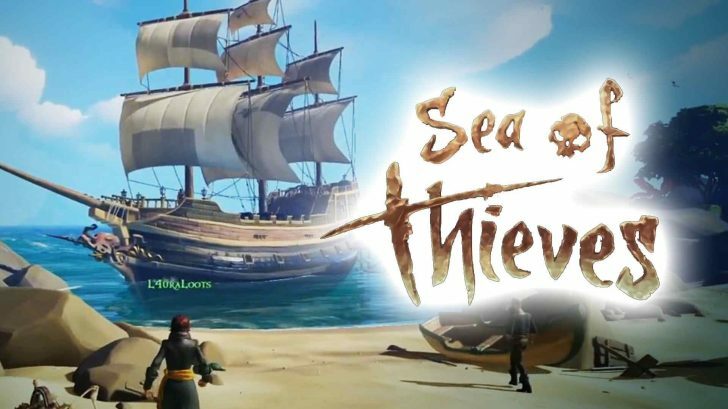 Sea of Thieves graphically destroys every Ps4 Protato game on the market. Ive seen the games that Protato owners consider best on the system in 4K(with HDR on the ones that support it), and SoT easily outclasses what those games are doing. You should purchase a 4K HDR tv and an X, you could see it with your own eyes. Dont be scared bro, it doesnt bite. i have a 4k HDR tv lool… you’re actually just delusional man… i think you need your eyes/head examined lool… because no one and i repeat NO ONE thinks Sea OF Thieves is a graphical masterpiece! loool let alone better looking than Uncharted, Horizon, Gran Turismo…. lol youre a liar. If you were telling the truth you wouldnt be bragging about 2K resolution games. The Last of Us remastered has better image quality than all three of those games, and if you had a 4K HDR tv you would know that. Just like everything X related, youre going to find out the hard way that Sea of Thieves in 4K HDR destroys all three of those games you listed. Sea of Thieves?! That comical looking game?! You gotta be kidding me. God of War on BASE PS4 will look better than that on X1X! You clearly havent upgraded to 4K. Sea of Thieves in 4K HDR destroys God of War graphically on both the Ps4 and Ps4 Protato. I have been on ps4 since 2013, just last month I sold it and bough an xbox X, Sony exclusives are mostly disappointing movie types, I love god of war, uncharted and last of us, but most other exclusives are overrated, the final nail in the coffin for me was GT sports, I love GT and they ruined it, after being disappointed with the movie The order 1886, the boring and frustrating last guardian, do not like the frustrating games like bloodborne. Ori and the blind forest was my first xbox digital purchase on sale last month, wow what a great magical game, purchased Dead rising 3 and wow, more fun than 99% of the games being released on the ps4. 7 – For the first time in a modern console, the thing is quiet, not like the loud noisy ps4 when sometimes the fan noise is louder than the TV, I have yet to hear the xbox X fan. 8 – Rumble triggers are nicer than pointless controller led light, or controller speaker, or a button for screenshots which I have never used in 4 years. The touch pad could have been a great feature if used right, killzone used it wonderfully, but it seems a big waste of space in most ps4 games. I prefer the xbox approach of better battery instead. The wiiU controller also had similar battery to the ps4 but the wiiU controller had a 5.2 inch screen, whats sony excuse? PS – I do not care what is on PC, as I do not have or want one. I just know that I have a bigger library on the xbox than I had on ps4. Wow. If this is the best Xbox has to offer in 2018, I’m so glad that I own a PS4. Ori is 2019 and that list is pure trash. Not a must buy list, but must avoid list. If those games were coming to the Ps4 Protato you would be giddy as a schoolgirl on prom night.